There are a lot of stock tools and software that can help traders in various ways. Most of them can be either opened directly in your web browser or be downloaded from the internet and installed on your computer. Examples of well-known stock trading tools are E*Trade Stock Tools, Extreme Charts & Simutrade Manager, Dedicated Trader, and Real Time Markets. There is also a basic trading tool available at msn.com where you can build a watch list and receive market updates. E*Trade Stock Tools is available at Etrade.com. 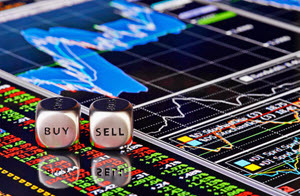 This site has a lot of articles and advice regarding trading and investing. Extreme Charts & Simutrade Manager (ECSM) is a great choice if you want a stock market charting program. It includes a myriad of indicators and you can chose between many different chart options. The powerful scanning tool makes it possible for you to sort through thousands of stocks to shake out those that are most suited for your specific trading strategy. Dedicated Trader is filled with educational material regarding stock and options trading. Many of the articles goes really deep and aim to give the reader a more profound understanding of stock and option markets. If you want something out of the ordinary, go check out Dedicated Trader. You will gain access to information that is unknown to many active traders. Real Time Markets provides you with real time streaming data, giving you the opportunity to keep on top of stock and options quotes from the comfort of your own home. The interface is highly customizable.